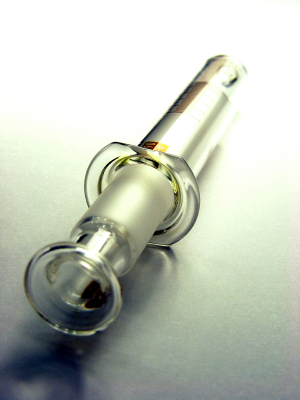 Since being first identified in 1996 by Swanson and colleagues as an agent suitable for aiding in completion of brief-yet-painful and anxiety provoking procedures, propofol’s use has increased significantly and is now one of the most popular sedative agents in the emergency department (ED). (1) It has a short onset and duration of action, with no active metabolites, making it ideal for use in the ED setting. Its adverse effects include nausea, vomiting, hypotension, pain on infusion, over-sedation, respiratory depression and the potential for respiratory arrest. (2) Despite this side effect profile, recent studies confirm the ability to administer propofol safely for procedural sedation and provide appropriate dosing in a variety of age groups. McGrane O, Hopkins G, Nielson A, Kang C. Procedural sedation with propofol: a retrospective review of the experiences of an emergency medicine residency program 2005 to 2010. Am J Emerg Med 2012;30(5), 706-711. This retrospective chart review looked at five years of propofol use for PSA in one academic ED and compared the incidence and types of adverse events to data already published, including rates outlined in the American College of Emergency Physician’s (ACEP) 2007 Clinical Practice Advisory. (2) A total of 215 procedural sedations were reviewed at a suburban government level two tertiary-care facility and included both adult and pediatric procedural sedations. Some of the data points extracted for review included patient age, indications for procedure, and adverse events defined as the following: adult systolic blood pressure (SBP) <90mm Hg, pediatric SBP decreasing by 20%, aspiration, pulse oximetry <90%, hospitalization related to the procedural sedation, apnea, and death. A total of 10 patients (4.65%) experienced adverse events; hypotension was the most common, occurring in five patients (2.33%). Hypoxia occurred in three patients (1.4%) with two of the three requiring jaw-thrust maneuvers, and an additional two patients experienced apnea requiring assisted ventilations with a bag-valve mask (BVM), although this was required for less than 59 seconds in both instances. All patients were discharged from the ED. A 1-sample z test was used to compare overall frequency of adverse events to the 5% event rate of the ACEP 2007 Clinical Practice Advisory, and found no statistical difference (p=0.407). Limitations to this study included ED guidelines for propofol dosing that were relatively regimented as well as the study setting: an academic ED requiring two physicians and an ED staff nurse’s presence for sedations — characteristics which may not represent procedural sedation practices or staffing models in many EDs. Propofol is safe for procedural sedation in emergency departments. Emergency physicians should be prepared with intravenous fluids and airway maneuvers in case of hypotension or hypoxia, although these are infrequently necessary. Jasiak KD, Phan H, Christich AC, Edwards CJ, et al. Induction dose of propofol for pediatric patients undergoing procedural sedation in the emergency department. Pediatr Emerg Care 2012;28(5), 440-442.
defined as O2 saturations <90%, apnea, and hypotension defined by the American Heart Association’s (AHA) predefined age-based systolic blood pressure parameters). Via a linear regression analysis (R2=.07), they found that a patient’s age was inversely predictive of the needed induction dose (coefficient = -0.074; P = 0.013) regardless of opiates given for pain management. The mean induction dose was 2.1±1.3mg/ kg, although the authors noted great variability in the doses given. They also reported a 21.6% adverse event rate: 13.6% developed respiratory depression (8 patients with hypercapnia, 3 with hypoxemia, and 1 with apnea) and 8% developed hypotension. With the exception of the 1 apneic patient, who required transient assisted ventilations with a BVM, the other events were reported as transient and required no interventions. The authors discuss pediatric physiology — differences in volume of distribution and body composition as well as cardiac output when compared to adults — as reasoning behind the inverse relationship between age and induction dose requirements. Limitations of the study include a small sample size, and variability in induction dosing based on primary provider discretion, and the other limits inherent to retrospective reviews. The authors also point out that based on their linear regression model, a patient younger than 5 would require a 2.5mg/kg induction dose, which is within the range of dosing for general anesthesia; the authors therefore recommend continuing to practice a titrateddose method in these young patients, keeping in mind that increased dosing is likely to be required. The effective induction dose in pediatrics appears to be inversely proportional to age with a mean dose of 2.1mg/kg; in particularly young patients it is advisable to keep a need for higher dosing in mind but to start low and titrate upward. Weaver CS, Terrell KM, Bassett R, Swiler W. ED procedural sedation of elderly patients: is it safe? Am J Emerg Med 2011;29(5), 541-544.
years, and 65 years and older) and found no significant difference between them (p=0.563). Adverse events in this study were categorized into apnea, hypotension (SBP <90mmHg), bradycardia (HR <50bpm), hypoxia (oxygen (O2) saturations < 90% for at least 10 seconds or a decrease from baseline by 5%), and aspiration. Although the authors did not look at propofol exclusively, the vast majority (89.1%) of patients in all three age groups received either propofol alone or propofol in combination with a narcotic. No significant difference was seen in medication regimens used across age groups (P=0.56) although significantly lower doses of propofol were used with increasing age both with and without concomitant use of narcotics (p=0.002 and p<0.001, respectively). While significance was not achieved, there was a trend towards a higher incidence of hypotension in the 65+ year age group (p=0.086). Caveats to this study include the fact that there were only 50 patients in the 65+ age group, which may not have enough power to detect a statistically significant difference between groups. Also, ED nurses were responsible for documentation of vital signs and dosing during procedural sedation, and while they were trained for the study, there was no standardized documentation method described to limit variance in documentation. Propofol usage, at decreased dosages, is safe in elderly patients >65 years. There may be an increased chance of hypotension in older patients, so providers should be prepared to give intravenous fluids if needed. Favored for its neutral hemodynamic profile, etomidate is often used to facilitate procedures in patients who are hypotensive or without hemodynamic reserve when the procedure is expected to be short in duration. There have been several studies in adult populations, but few prospective studies regarding etomidate use and safety in children. Mandt MJ, Roback MG, Bajaj L, Galinkin JL, Gao D, Wathen JE. Etomidate for short pediatric procedures in the emergency department. Pediatr Emerg Care 2012;28(9):898-904. A prospective, observational cohort study conducted at a university ED using etomidate for sedation in short procedures, this study’s primary objective was to determine the dose of etomidate resulting in adequate sedation. Sedation was assessed using the Children’s Hospital of Wisconsin Sedation Score (CHWSS), which ranges from 6 (inadequate sedation) to 0 (anesthesia). Secondary outcomes evaluated include the presence of dose-dependent respiratory adverse events, which were defined as a rise in ETCO2 of 10mmHg from baseline, O2 saturation recording less than 90%, or apnea of 20 seconds duration. Sixty patients aged 4 to 18 years were included in this study. All patients were given opiate pain control with fentanyl prior to sedation. Patients were given 0.2mg/kg of etomidate for sedation with the option of giving an additional 0.1mg/kg bolus for further sedation. The primary endpoint of a CHWSS <4 was no different in patients getting a total of 0.2mg/kg of etomidate versus a total of 0.3mg/kg of etomidate (P=0.3) using Fisher’s exact test. Sixteen of 39 (41%) patients receiving 0.2mg/kg etomidate had a respiratory adverse event compared with 9 of 17 (52.9%) receiving 0.3mg/kg of etomidate. These patients responded well to verbal or tactile stimulation or supplemental oxygen (given in 25.4% of patients), and there was no significant difference in adverse event rate in the higher dose etomidate group judged using a Chisquare test (p=0.52). Of note, one patient received 0.4mg/kg (violating the study protocol of a maximum 0.3mg/kg dose) and experienced hypercapnia and hypoxia that responded to approximately 1 minute of BVM ventilation. Non-respiratory adverse events were also documented, most commonly pain on injection (20 of 59 patients), transient myoclonus not interrupting procedure (7 of 59), and post-procedure vomiting responding to ondansetron (3 of 59). This study is one of a limited number of prospective studies evaluating etomidate’s use in children. The dose of 0.2mg/kg seems to achieve adequate sedation in most cases, without a significant adverse event rate. This study is limited by the fact the authors did not use a power calculation to determine the sample size needed to detect a difference in their primary outcome measure. Likewise, the number of respiratory adverse events was not different between the two groups in this study, but with a relatively small number of enrolled patients, this may not reflect the true event rate. When using etomidate with concomitant opiates for analgesia in pediatric procedural sedation, providers may start with a dose of 0.2mg/kg and monitor patients closely for adverse respiratory events. Ketamine has become a popular agent in PSA due to its combination sedative-dissociative-anesthetic properties. It has a rapid onset of action yet a slightly longer half-life than other agents, and is an attractive agent in patients who are at risk for hypotension due to its chronotropic and inotropic effects which help maintain their vascular status. Its use has generally been avoided, however, in patients with suspected eye injuries due to reports that it might increase intraocular pressure (IOP), which has been controversial in recent literature. Drayna PC, Estrada C, Wang W, Saville BR, Arnold DH. Ketamine sedation is not associated with clinically meaningful elevation of intraocular pressure. Am J Emerg Med 2012;30(7):1215-1218. Halstead SM, Deakyne SJ, Bajaj L, Enzenauer R, Roosevelt GE. The effect of ketamine on intraocular pressure in pediatric patients during procedural sedation. Acad Emerg Med 2012; 19(10):1145-1150.
of normal IOP of 22 mmHg. In this patient, the IOP increased from a baseline of 18 mmHg up to 25 mmHg at 15 minutes without any symptomatologic evidence and within the realm of diurnal variation quoted in the article. The authors postulated that the observed decreases in IOP might be due to anxiolysis, sedation and analgesia. The study’s primary limitations include lack of control for pretreatment and other sedative medications, small population and convenience sampling. These considerations aside, the authors feel that the data support the conclusion that ketamine does not produce a clinically significant rise in IOP. the change in IOP measured. Nonetheless, the data does seem to support other studies, such as that by Drayna et al., refuting clinically significant IOP elevations in patients without eye injury. Ketamine does not appear to result in clinically significant elevations in intraocular pressure in pediatric patients without eye injury. Tsze DS, Steele DW, Machan JT, et al. Intranasal ketamine for procedural sedation in pediatric laceration repair: a preliminary report. Pediatr Emerg Care 2012;28(8):767-770. In this study investigators sought to identify the optimal dosing of intranasal ketamine for procedural sedation. Using a randomized, double-blind design they enrolled patients aged 1-7 years old to receive either 3mg/kg, 6mg/kg or 9mg/kg of intranasal ketamine. The primary outcome measurement was time to adequate sedation and efficacy of sedation using predefined sedation scales. They also measured serum levels of ketamine and norketamine 15 minutes after administration of the nasal ketamine dose and either at the end of the procedure or prior to administration of supplemental sedation medication (0.5mg/ kg IV ketamine) if adequate sedation was not achieved with intranasal dosing. The trial was stopped after 12 patients were enrolled because none of the eight patients that received 3mg/kg or 6mg/kg reached adequate sedation, meeting predefined cessation criteria of any dose failing to achieve sedation in >20% of cases. While this limits somewhat the applicability of the results, it should be noted that three of the four patients who received 9mg/kg intranasal dosing achieved adequate sedation, with only one adverse event (vomiting). Interestingly, the serum ketamine levels did not show a reliable dose response curve between the differing dosage groups, and all the levels in the adequately sedated patients were 530ng/L or lower, well below the expected threshold of 1000-1500ng/L the authors had extrapolated from other studies. Intranasal administration of ketamine of 9mg/ kg can produce adequate sedation in children, but more research is needed to fully test its use and determine the optimal dosage for both safety and efficacy. sedation, and its use has been supported by preliminary data in ED and OR settings. (3) Recently, three randomized, prospective trials have compared ketofol with other standard regimens for procedural sedation. Nejati A, Moharari RS, Ashraf H, Labaf A, Golshani K. Ketamine/propofol versus midazolam/fentanyl for procedural sedation and analgesia in the emergency department: a randomized, prospective, double-blind trial. Acad Emerg Med 2011 Aug;18(8):800-6. Nejati et al. performed a double-blinded, randomized trial comparing ketofol with fentanyl and midazolam (F/M) for procedural sedation on adult patients at a tertiary care hospital ED. A convenience sample of 62 patients over the age of 18 was randomized to receive either 0.75mg/kg of both ketamine and propofol or 0.04mg/kg of midazolam and 2μg/kg of fentanyl. The outcomes included patient-reported pain severity (primary), sedation level (secondary) and changes in vital signs (secondary). The inclusion criterion was age over 18 years; the exclusion criteria were ASA (American Society of Anesthesiologist physical status classification system) status >3, prior adverse reactions to anesthesia or eggs, pregnancy, multi-trauma or elevated intracranial pressure, or history of psychiatric disease. Patients receiving ketofol described better pain control (interquartile pain scores of 0-1/10 v. 1-6/10 for F/M), and were more likely to maintain deeper sedation (87% maintained Ramsay sedation score > 4 versus only 42% for F/M, p<0.001). Patients receiving ketofol were also less likely to experience O2 desaturation below 90% (1% v. 11% for F/M, p=0.003). Of note, 30% of ketofol patients experienced emergence phenomena, but only one severe enough to require midazolam administration. None experienced nausea or vomiting. This study is limited by its relatively small sample size, difficulties with blinding due to the opacity of propofol, and bias due to convenience enrollment. David H, Shipp J. A randomized controlled trial of ketamine/propofol versus propofol alone for emergency department procedural sedation. Ann Emerg Med 2011 May;57(5):435-41. Andolfatto G, Abu-Laban RB, Zed PJ, Staniforth SM, Stackhouse S, Moadebi S, Willman E. Ketamine-propofol combination (Ketofol) versus propofol alone for emergency department procedural sedation and anesthesia: a randomized double-blind trial. Ann Emerg Med 2012 Jun;59(6):504-12.e1-2. The study by David and Shipp compared ketofol with propofol alone in 220 patients ranging from 1 to 83 years of age at a single academic ED. In this double-blinded trial, patients were randomized to receive either 0.5 mg/kg of either ketamine or placebo followed by 1 mg/kg of propofol. Key exclusion criteria included pregnancy, age <1 year, psychiatric disease, and ASA status >2. The outcomes included respiratory depression (primary) defined as ETCO2 increase of >5 mmHg, respiratory rate <8/minute, O2 saturation less than 90%, apnea of >15 seconds or the need for airway manipulation, and provider satisfaction (secondary). No significant difference in frequency of respiratory depression was observed (ketofol 22%, propofol 28%), but provider satisfaction was significantly higher with ketofol (95% vs 65% rated sedation in the top quintile, difference 30% with 95% CI of 20-40%). Limitations of the study included enrollment of patients by on-duty physicians (possibly limiting enrollment during peak times) and limitation to a single center. Andolfatto et al. similarly compared ketofol with propofol alone in a double-blinded, randomized, controlled trial enrolling 284 patients >14 years of age to receive either 0.375 mg/kg of both ketamine and propofol or 0.75 mg/kg of propofol for procedural sedation. Inclusion criteria were age >14, and ASA status <4. Exclusion criteria were pregnancy or known allergy to study medications. The primary outcome was occurrence of adverse respiratory events, defined as desaturation, central apnea, airway obstruction, aspiration, or laryngospasm severe enough to require provider intervention. Key secondary outcomes were sedation consistency and occurrence of adverse events. No significant difference was observed in rates of adverse respiratory events (ketofol 30%, propofol 32%). Sedation consistency was improved in the ketofol group, with only 46% requiring additional doses of sedative versus 65% in the propofol group (difference 19%, 95% CI 8-31%). Seven percent of patients receiving ketofol experienced emergence agitation, of which approximately half required pharmacologic intervention or physical restraint. No cases of nausea or vomiting were recorded. Study limitations included restriction to a single center, enrollment of patients by on-duty staff (again possibly limiting enrollment at peak times), and non-quantitative definitions of adverse respiratory events. Ketofol reliably provides more effective sedation at steadier levels than propofol alone or fentanyl/midazolam in concert. The combination of ketamine and propofol does not, however, appear to balance out their individual respiratory, hemodynamic, and CNS effects; episodes of respiratory depression were equally common with or without ketamine (20-30% of patients) and emergence reactions continued to occur in up to 30% of patients receiving ketamine despite the addition of propofol. Dexmedetomidine (Precedex®) is an alpha-2 adrenergic agonist that causes central nervous system (CNS) mediated sedation without affecting the respiratory drive. It is, however, limited by occasional hypotension and bradycardia. With shortages of common medications for procedural sedation presently looming, dexmedetomidine may be an increasingly available option in some emergency departments. There are no prospective studies or retrospective reviews of dexmedetomidine in emergency medicine journals, but its use in procedural sedation has been evaluated in other settings and we include some pertinent publications here. Takasaki Y, Kido T, Sembra K. Dexmedetomidine facilitates induction of noninvasive positive pressure ventilation for acute respiratory failure in patients with severe asthma. J Anesth 2009;23:147-150.
noninvasive positive pressure ventilation (NIPPV) while their reversible respiratory illness can be treated. Doses of 3mcg/kg/min for 10 minutes followed by continuous infusions of 0.2-0.6mcg/kg/min continuous infusion were used. Dexmedetomidine has been reported to successfully facilitate tolerance of noninvasive positive pressure ventilation and thereby avoid the need for intubation in asthmatic respiratory distress. This study compared dexmedetomidine and midazolam for 3rd molar dental procedures in a double-blinded fashion. Sixty patients were enrolled, randomized and assigned to dexmedetomidine or midazolam. Patients were excluded if they had hepatic disease, renal disease, took an alpha blocker or were pregnant. An anesthesiologist and dental practitioner were present, along with a research technician. The study was performed to compare the efficacy and safety of dexmedetomidine nd midazolam. Participants were adequately randomized so that there were no significant differences between groups. Patients were assessed for sedation on the Observer’s Assessment Alertness/Sedation Scale (OOAS), and vital signs were recorded throughout length of the sedation. There was no significant difference in the length of the operation (p=0.32). Maximum systolic heart rate (p=0.01), maximum systolic blood pressure (p=0.02), and minimum diastolic blood pressure (p=0.04) were significantly lower in the dexmedetomidine group compared with midazolam. Minimum oxygen saturation (p=0.29) and minimum respiratory rate (p=0.61) were no different between groups. The level of sedation, as measured by bispectral index, was not different between groups (p value not reported). There were unreported “intervention criteria” based on cardiovascular and respiratory factors, which the authors state were not reached by any patient. This study has serious limitations, including a small sample size with no mention of a power calculation for detection of differences between groups. There was no objective primary outcome listed, and the presented data is somewhat lacking in clarity, with no mention of presence or absence of changes in patient hemodynamics. This results in unsupported conclusions such as, “The dexmedetomidine group had a better safety profile than the midazolam group…” However, the data that is presented certainly makes this study notable as a hypothesisgenerating study that should prompt further investigation of the safety profile and level of sedation achieved with dexmedetomidine. It is unclear whether dexmedetomidine has a more or less favorable efficacy or safety profile compared to midazolam, but it appears to be an effective sedation agent for PSA. Liao W, Ma G, Su QG, Fang Y, Gu BC, Zou XM. Dexmedetomidine versus midazolam for conscious sedation in postoperative patients undergoing flexible bronchoscopy: a randomized study. J Int Med Res 2012;40:1371-1380. The authors conducted a non-blinded, randomized trial of dexmedetomidine versus midazolam for postoperative bronchoscopy in intensive care unit (ICU) patients who did not have a definitive airway. The primary outcome measure was the lowest level of oxygen saturation, and the study was designed to detect a 2% difference in the oxygen saturation during the procedure between the sedatives. Patients were randomized equally to receive either midazolam or dexmedetomidine with 99 patients in each group. One patient from the midazolam group was excluded from analysis, reportedly due to need for emergent intubation for persistent hypoxemia. Patients in the dexmedetomidine group had a statistically higher minimum O2 saturation level compared with midazolam (93.8 +/- 3.9% versus 92.0 +/- 4.4%, p<0.01). In secondary analysis patients receiving midazolam had a significantly higher rate of tachycardia (p=0.007) and patients receiving dexmedetomidine had significantly higher rate of bradycardia (p=0.04). There was no statistical difference in the number of patients with hypoxia between groups (p value not reported). It is important to note that all patients in this study were maintained on 4 liters of supplemental oxygen prior to intervention. The study was appropriately powered for the primary endpoint and enrollment criteria were met. A limitation of the study itself is the questionable failure to include the midazolam group patient who required intubation in analysis as this may have been related to medication administration. If included, the difference in average lowest oxygen saturation would likely have been greater between groups. The results of this study may not have direct applicability to procedural sedations performed in the ED, but they provide evidence that oxygen saturations may be better with dexmedetomidine use in non-intubated patients as opposed to midazolam, and confirm bradycardia as a potential complication. Dexmedetomidine for procedural sedation results in higher minimum oxygen saturations than benzodiazepines during particular procedures but may have a higher rate of bradycardia. Alfentanil is an opioid that induces sedation and anesthesia with a duration of action similar to propofol. It has no amnestic properties, and its side effects include skeletal muscle rigidity, hypotension, bradycardia, and respiratory depression. Remifentanil is a synthetic opioid analgesic with a therapeutic potency similar to that of fentanyI. It is rapidly hydrolyzed in the blood and therefore has a very short half-life with less accumulation. It also does not relax skeletal muscle, and its primary side effects are respiratory depression, nausea, bradycardia and pruritis. (4) There have been scant publications regarding use of these agents for procedural sedation in EDs over the past decade, and many EPs emain unfamiliar with their use. Sachetti A, Jachowski J, Heisler J, Cortese T. Remifentanil use in emergency department patients: initial experience. Emerg Med J 2012 Nov;29(11):928-9. This study was a retrospective chart review to investigate outcomes of procedural sedations using remifentanil in an urban community hospital. The study’s 50 patients ranged in age from 16 months to 74 years, with a mean age of 30.6 years and 13 total patients <18 yrs. For all patients, 1mg of remifentanil in 50mL of normal saline was infused at 0.16 mcg/kg, starting 3-5 minutes prior to the procedure. Any additional boluses or concomitant medication usage (propofol, benzodiazepines) was decided by the primary caregiver. Six patients received “rescue medications” to achieve sedation and eight patients received a 1mcg/kg remifentanil or 0.5mg lorazepam bolus as additional pretreatment. Sedations were directed by an attending EP and full recovery took reportedly only 5-10 minutes. All procedures were successfully completed in the ED with no need for respiratory or cardiovascular support, although hemodynamic and respiratory data are not included in the article. The authors make note that remifentanil, even with bolus dosing, did not seem to be effective in very anxious patients, although this issue was resolved with an additional low-dose benzodiazepine. This is an interesting study with the standard limitations of a retrospective review, small sample size and lack of ability to control for other medications. Of note, a case series presented by Phillips et al. in 2009 reported on 12 patients who underwent procedural sedation with remifentanil without hemodynamic instability, although they also did not present numbers.5 Another presented by Dunn et al. in 2006 using remifentanil with propofol for shoulder reductions in the ED reported mild decrease in HR (mean decrease of 13 beats per minute), a mean decrease in systolic blood pressure by 18mmHg, and two patients with pulse oximetry readings of 94% and 95%, no apnea on ETCO2, and no need for interventions in any of these patients. (6) While the authors of the current study conclude that remifentanil is safe and effective for ED use, further-developed studies with randomization, blinding and larger sample sizes should be conducted before this supposition is widely accepted. Remifentanil has a very short duration of action and shows promise as a hemodynamically stable analgesic, although it may need concomitant treatment with anxiolytics and/or muscle relaxants depending on the procedure. Miner JR, Gray R, Delavari P, Patel S, Patel R, Plummer D. Alfentanil for procedural sedation in the emergency department. Ann Emerg Med. 2011 Feb;57(2):117-21. Miner et al. conducted a prospective observational study to investigate the adverse effects and efficacy of procedural sedation utilizing alfentanil in an urban county adult emergency department. The primary objective of investigators was to assess airway and respiratory events leading to intervention. Secondary objectives were to assess other adverse events, the depth and duration of sedation, incidence of subclinical respiratory depression, procedural success, and the patient perceptions of sedation quality. This study examined 153 patients >18 years of age. Individuals who could not give consent, who had an ASA >2 or known hypersensitivity to alfentanil, who were pregnant, or who had clinical evidence of intoxication were excluded. All patients were pretreated with IV morphine or oral oxycodone with repeated dosing as needed based on primary caregiver discretion. Patients were also monitored via electrocardiogram (ECG), blood pressure measurements, pulse oximetry, and capnography. Airway or respiratory events were defined as any increase in or addition of supplemental oxygen, use of BVM or repositioning of airway to increase ventilation, or stimulation of the patient to induce breathing. Subclinical respiratory depression was defined as an absolute change in ETCO2 > 10mmHg from baseline, hypoxia (O2 saturations on pulse oximetry <92%), or apnea determined by lack of waveform on capnography. The authors documented OAAS scores to assess depth of sedation, and after return to baseline the patients were questioned regarding their experience. Fifty-eight patients (39%) of patients had airway or respiratory events; 50% of these involved subclinical respiratory depression and 43% of these were hypoxia-related. Five patients required a minute or less of BVM ventilation due to an ETCO2 increase of >10mmHg, and 4 of the 5 were apneic as defined by a loss of waveform on capnography; none of these 5 had hypoxia. Cardiac rhythm abnormalities, vomiting, aspiration, tracheal intubation, transfers to a higher level of care, and naloxone administration for poor ventilation were not observed. Three patients had a measurement of systolic pressure <100mmHg (the lowest measured at 74mmHg) with a report of no associated sequelae. Of note, patients reported a higher rate of recall with alfentanil but still reported higher satisfaction rates than previously reported with other sedatives (not published in the article). The authors conclude that the adverse effect rate of alfentanil is similar to that of propofol, although alfentanil may be associated with more subclinical respiratory depression at equivalent depths of sedation. They also noted that patients who had airway/respiratory events were, more likely to have received supplemental oxygen preprocedurally, which may suggest that these patients were perceived to be at greater risk of respiratory difficulty presedation, or that the primary EP may have had a lower threshold to intervene. Limitations of the study include those inherent to a non-randomized trial, as well as a noted institutional preference for alfentanil use in patients undergoing less painful procedures, which may require less sedation and therefore demonstrate fewer adverse events than would be seen at comparable sedation depths, and that all decisions to intervene were left to the discretion of the primary caregiver. Alfentanil appears to be efficacious and provides patient satisfaction, but has an adverse event rate similar to that of sedatives providing deeper sedation and is associated with subclinical respiratory depression as evidenced by capnography. While several studies, including some reviewed here, have utilized capnography and ETCO2 measurements in evaluating for respiratory depression, this monitoring parameter has not yet been defined as standard of care in emergency department procedural sedation. Sivilotti MLA, Messenger DW, van Vlyman J, Dungey PE, Murray HE. A comparative evaluation of capnometry versus pulse oximetry during procedural sedation and analgesia on room air. CJEM 2010;12(5):397-404. This study was a planned secondary analysis of data obtained in a randomized controlled trial comparing low-dose ketamine to fentanyl for PSA in conjunction with propofol. The primary objective was to determine whether continuous capnography or pulse oximetry would first detect a respiratory event in patients undergoing PSA without supplemental preoxygenation. Subjects were 63 patients aged 14 to 65 years in an academic, tertiary-care facility ED. Exclusion criteria included significant active cardiac, pulmonary, hepatic, or renal disease, recent substance abuse, current opioid use or prior dependence, obstructive sleep apnea, prior psychosis, hypersensitivity to any of the agents used, body weight greater than 130kg, or acute intoxication. Patients were monitored on continuous capnography with ETCO2 measurements, continuous pulse oximetry, ECG, and noninvasive blood pressure via a singular monitoring device that recorded this information regularly throughout the sedation. Additional measurements were recorded at every respiratory event via the pressing of an “event button” by the primary sedating EP. Hypoventilation was predefined to include an ETCO2 measurement >50mmHg or relative increase of >10mmHg from baseline, as well as apnea with loss of waveform either >30 seconds or recurrent losses for shorter periods of time. The authors later added the parameter of “abnormal capnography,” meaning a decrease in ETCO2 by >10mmHg. Oxygen desaturation was defined as a pulse oximetry reading of <92%. No oxygen was administered unless the patient developed hypoxia by this definition. were detected. Overall 19 patients (30%) met criteria for hypoventilation (12 patients with apnea, 6 with ETCO2 >50mmHg, and 7 with an increase >10mmHg from baseline) and 5 of these were only found on retrospective monitor data review, as the primary EP did not recognize the increases in ETCO2. The authors reported considerable variation in ETCO2 measurements both between patients and within each patient’s own breath-to-breath ETCO2 values, making it difficult for EPs to accurately document a baseline against which they could compare later readings, and possibly accounting for the missed increases in ETCO2. The authors concluded that pulse oximetry allows earlier detection of respiratory depression in patients breathing room air. Limitations of this study noted by the authors include limited generalizability, given their sample of fairly healthy patients who might not be representative of the general population and the fact that many EPs routinely preoxygenate for PSA. It is also worth noting that the authors substitute oxygen desaturation as a definition for respiratory depression. While it is reasonable to argue the importance of capnometric changes clinically, it is not correct to argue that because capnometric evidence of hypoventilation is not sensitive for hypoxemia it is therefore not sensitive for respiratory depression. It is more accurate to state that in patients breathing room air, pulse oximetry is an earlier detector of hypoxemic respiratory failure. Deitch K, Miner J, Chudnofsky CR, Dominici P, Latta D. Does end tidal CO2 monitoring during emergency department procedural sedation and analgesia with propofol decrease the incidence of hypoxic events? A randomized, controlled trial. Ann Emerg Med 2010 Mar;5(3):258-64. This randomized, controlled trial sought to determine whether or not the use of capnography would be associated with fewer hypoxic events in patients undergoing PSA with propofol. The study was conducted in an urban, academic ED, with 132 adult patients (>18 years) included in the final analysis. Patients were excluded if they had severe chronic obstructive pulmonary disease or chronic oxygen requirements, hemodynamic instability, respiratory disease, pregnancy, inability to consent, allergy to any of the medications used, or if the attending EP felt that procedural sedation would compromise patient safety. Patients were randomized to one of two groups: one in which capnography data was visible to the treating EP and one in which it was not. All patients underwent standard monitoring (pulse oximetry, pulse rate, and blood pressure) which was available to all ED staff, and all patients received supplemental oxygenation at 3 liters by nasal cannula. The capnography monitor recorded data every 5 seconds throughout sedation, with additional events electronically time-stamped by research associates, including interventions for respiratory depression (defined as an ETCO2 ≥ 50mmHg, absolute change in ETCO2 ≥ 10mmHg from baseline, loss of waveform for ≥ 15 seconds) or hypoxia (defined as pulse oximetry < 93% for 15 seconds or more). The decision to perform interventions such as verbal/physical stimulation, airway realignment, increased supplemental oxygen, and use of airway adjuncts, assisted ventilation, or intubation were left to the discretion of the treating EP. The primary outcome was whether or not EP utilization of capnography during PSA would result in a 15% decrease in the incidence of hypoxia as compared to standard monitoring alone without EP access to capnography data. The authors found that respiratory depression occurred at similar rates between the two groups (57 and 58%), with a 10% increase in EP interventions in the nonblinded as compared to the blinded group in patients without hypoxia (OR 14, 95% CI 5-25). Hypoxia occurred significantly more often in the blinded capnography group than the nonblinded group (25 v. 42%, p=.035, 95% CI 1.3 to 33). Furthermore, all patients who developed hypoxia first exhibited respiratory depression although not all patients who exhibited respiratory depression developed hypoxia, demonstrating a sensitivity and specificity of 100 and 64%, respectively, for capnographic respiratory depression in predicting hypoxia (95% CI 90-100 and 53-73). Overall, 76 patients demonstrated respiratory depression, the majority of which (57%) involved a decrease in ETCO2 by 10mmHg or more. The authors discussed this finding as a result of hypopneic increases in the dead space to tidal volume ratio, an effect reportedly documented with propofol. Limitations of the study include exclusion of 18 patients due to unspecified data loss, which is unfortunate as the reasons documented for loss (patient movement, blood pressure cuff insufflations) are likely to occur in the actual clinical setting. Also, the definition of hypoxia at an oximetry reading of 93% is higher than the usual 90% cutoff of many of the other studies currently published, which may explain this study’s higher rate of hypoxic events and could have inflated the difference between groups. There was a relatively high rate of false positives, i.e. 16 of 58 (27.6%) documented respiratory depressions in the blinded group that had no intervention and that did not result in hypoxia. Lastly, the authors did not break down the various interventions actually used by EPs when they opted to do so; this information might have been helpful context for interpreting the data presented. There is still not enough strong evidence to make an overarching recommendation for or against standard utilization of capnography monitoring during PSA. Further research comparing its use with and without supplemental preoxygenation might be helpful. Until further data is available, it seems reasonable to use capnography in situations where preoxygenation is provided, so as not to miss respiratory depression masked by O2 supplementation. In healthy populations not receiving supplemental oxygenation, pulse oximetry is an effective predictor of impending hypoxic respiratory failure. 1. Swanson ER, Seaberg DC, Mathias S. (1996). The use of propofol for sedation in the emergency department. Academic Emergency Medicine, 3(3), 234-238. 2. Miner JR, Burton JH. (2007). Clinical practice advisory: emergency department procedural sedation with propofol. Annals of Emergency Medicine, 50(2), 182-187.